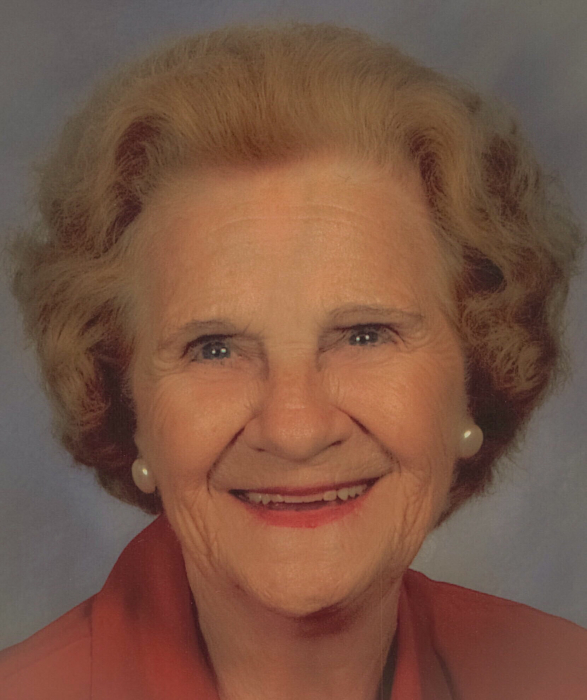 Adeline Agnes (Whitehead) Hebert, 94, of Alexandria and formerly of Northboro, Massachusetts, died January 17th at her home in Alexandria. She was married to the late Joseph G.L. Hebert in 1944. Addie was born in East Boston, Massachusetts to the late James Edward Whitehead and the late Rose (Pignato) Whitehead. She was raised in East Boston and was a graduate of East Boston High School. She lived in Northboro, Massachusetts most of her life and moved to Alexandria in 2002. Adeline sold Avon products for many years in Northboro and then had a successful career as office administrator at Metropolitan Life Insurance Company, Marlboro branch, for 25 years. She became an antiques dealer and an expert in antique dolls and doll clothing and opened a doll hospital in her home. She also was a gifted and avid seamstress and made clothes for herself and her children. In her neighborhood in Alexandria, Addie was a mainstay at many events, and acquired the beloved nickname “Duchess of Duke Street”. She was a longtime volunteer with ALIVE!, Inc. up to 2017 and served as its housewares chairperson for a number of years. She attended Fairlington United Methodist Church and served on their welcoming team and as a greeter at church services. She had a wealth of friends, and will be remembered for her energy, sense of humor, outgoing personality, friendship and generosity. She is survived by two sons: Joseph Gerald Hebert of Alexandria and his wife Victoria R. Hebert; and Thomas C. Hebert of Reston, Virginia and his wife Maria Hebert. She was the cherished grandmother of seven grandchildren – Lisa, Jay, Christy, Greta, Brooke, Josh, and Marlea – and 10 great-grandchildren. A celebration of her life will be held at Fairlington United Methodist Church in Alexandria on January 27 at 2:30pm. She will be buried at the Massachusetts National Cemetery in Bourne, Massachusetts at a later date. The Hebert family is especially thankful to Capital Caring for their compassionate hospice care of Addie these past few months. In lieu of flowers, the family requests that donations be made to ALIVE!. ALIVE! ~ ALexandrians InVolved Ecumenically!